You’re all set for your vacation in Playa del Carmen, have plans set, but don’t quite know how to get there from the Cancún airport. Getting from Cancún to Playa del Carmen is pretty easy, and there are several ways to go. The trip takes a little under an hour, and can be quite comfortable and easy. Whether you’re coming from the center of town or from the airport, you can take a taxi, a bus, or a private airport transfer. You can also always rent your own car! Once you’re there, check out some of the amazing Playa del Carmen tours and activities. There are five main ways to get from Cancún to Playa del Carmen. Depending on your situation and plans during your vacation, you may want to consider which will work best for you! If you have any questions, don’t hesitate to reach out to us for suggestions or guidance. You can certainly catch a taxi from the airport or anywhere else in Cancún to Playa del Carmen. The government regulates taxi rates, so you should have a flat rate. It varies depending on where you are, and what the exchange rate is. Note that you almost always save money in the Riviera Maya by paying in pesos, as businesses and individuals will give you worse exchange rates than banks. You can read our post at https://therivieramaya.org/pesos-or-dollars-in-mexico/ to learn more about paying in pesos vs dollars. Right now, the rate is around 1,000 pesos or 50 USD. It’s not the cheapest option, but is one of the quickest ways to get going when you land. You can find taxi stands right outside the terminal. Make sure to ask how much before getting in. Taxi drivers in the Yucatán are generally super nice. We’ve had drivers offer to stop at stores to get us waters, offer us snacks, and strike up super fun conversations. The ADO bus is our preferred way to go to and from the airport in Cancún. The bus picks up and drops off right at the airport in Cancún and has stops in downtown as well. You can take a bus direct from the Cancún airport to Playa del Carmen for about 300 pesos. The bus is pretty spacious, air-conditioned, and you even get a movie on board. It’s a straight shot down the highway, and the bus doesn’t stop on its way. In addition, the bus is generally the cheapest way to get from Cancún to Playa del Carmen. To catch the bus from the airport, you can just ask anyone where the ADO bus picks up. If you walk out of the international terminals, you should see the line of buses parked pretty clearly. You can buy a ticket right there, and the bus will drop you off at the ADO station in the center of town. If you want to catch the bus back to the airport, you can buy bus tickets ahead of time or just show up a few minutes early to the bus station. The bus will drop you off at 5th and Juarez, but you have to go to the 20th Street station to pick it up on your way back. A private transfer is another option if you’re willing to pay. If you have a large group, it may be hard to fit in a taxi and expensive to all get on the bus. If where you’re going doesn’t offer airport transportation included, you can easily get a private van transfer. The private transfers tend to have pretty good reviews. You’re offered water, beer, sodas, and snacks often, and your driver can act as a bit of a guide. They’re local to the area and can offer tips and suggestions on where to eat, what to see, and how to enjoy yourself during your stay. 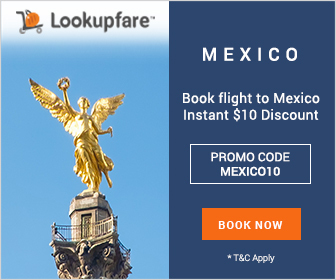 If you’re headed to Cancún, you can get an airport transfer for about $10 (US) a person here. Heading down to Playa del Carmen from Cancún runs about $20 a person round-trip, which is a pretty good deal. You can find our favorite private transfer here. You can also investigate travel insurance to cover problems in case anything goes wrong! If you’re staying at a higher-end hotel or resort, you may want to check in to see if they offer airport transfers. Many of the higher end hotels will offer complementary airport transfer, while others may offer a private transportation service for a small additional cost. If this second one is the case, you may want to do some math and figure out what is worth your time. An airport transfer to Playa del Carmen from Cancún from your hotel is often the best way to go if offered. Your driver will be waiting for you right as you land, and will surely know exactly where to go to get you quickly and safely to your hotel. If you’re not sure if your resort or hotel offers airport transfers, give them an email or call and check it out! Finally, you can always rent a car! If you’re not staying at an all-inclusive resort or a hotel that provides transportation, this may be a worthwhile option to consider. Especially if you plan on traveling around the Riviera Maya, a car rental may work out well. It also offers one of the easiest ways to get from Cancún to Playa del Carmen upon your arrival. The rental companies are right outside the airport, and pretty easy to get your car from. You can also drop your car off right here and make it easily to your flight. 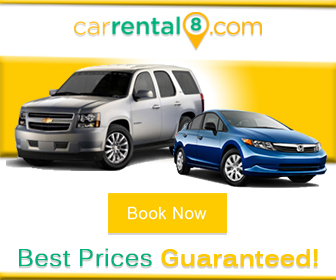 If you’re planning on renting a car, we recommend checking out CarRental8. They offer rentals through all of the major companies and a few local ones that offer even more competitive rates. Don’t forget to check out our post The 15 Best Things to Do in Playa del Carmen for some ideas to enjoy your stay!